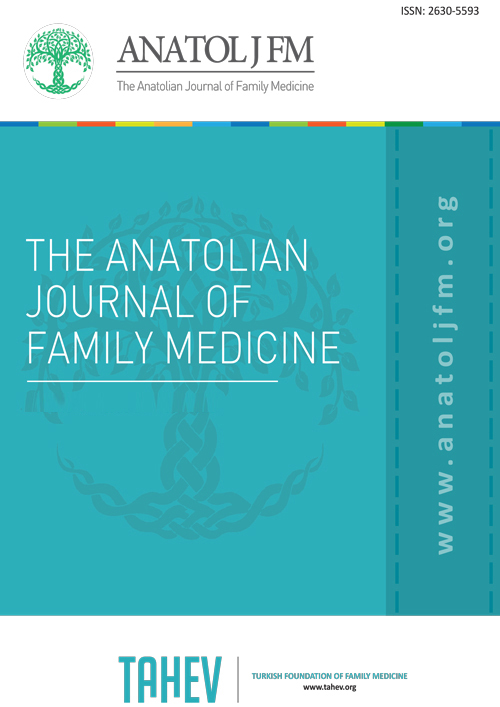 The Anatolian Journal of Family Medicine is published in accordance with the principles of independent, unbiased, and double-blinded peer review. It publishes original research related to clinical, experimental and basic sciences on family medicine and primary health care, editorial comments, reviews covering current issues, educational articles, scientific letters, case reports, letters to the editor, original images, articles on history of medicine and publication ethics, diagnostic puzzles, and interviews deemed appropriate for the purposes and scope of the journal. The journal evaluates only the manuscripts submitted through its online submission system on the web site http://www.anatoljfm.org. Manuscripts sent by other means will not be accepted. The primary conditions for the acceptance of manuscripts for publication are originality, scientific value and citation potential. All statements and opinions expressed in the manuscripts published in The Anatolian Journal of Family Medicine reflect the views of the author(s). All liability for the advertisements rests with the appropriate organization(s). The Turkish Foundation of Family Medicine, the Editor-in-Chief and D&G Publishing do not accept any responsibility for articles and advertisements. The manuscripts submitted to the journal, except abstracts, presentations, reviews and parts of theses, should not have been accepted and published previously elsewhere in electronic or printed format. Manuscripts evaluated and rejected by other journals must mention any previous submissions and supply reviewer’s reports. This will help to accelerate the evaluation process. If the submitted manuscript has been previously presented at a meeting, the name, date, city and country must be specified. The authors transfer all copyrights of the manuscript in the framework of national and international regulations to the Turkish Foundation of Family Medicine as of evaluation process. A Copyright Transfer Form signed by corresponding author in order must be submitted to the journal with manuscript. After acceptance of manuscript, all of authors must fill and sign Copyright Transfer form. A separate form for each manuscript should be submitted. Manuscripts submitted without a Copyright Transfer Form will not be accepted. In the case of rejection, all copyrights transfer to the authors again. Authors must confirm that they will not submit the work to another journal, publish it in the original or another language and or allow a third party to use the manuscript without the written permission of the Turkish Foundation of Family Medicine. All contents are the authors’ responsibility. All financial liability and legal responsibility associated with the copyright of submitted tables, figures and other visual materials protected by national and international laws rest with the authors. The authors take responsibility for any legal proceedings issued against the journal. Rejected manuscripts will not be returned except for artwork. To clarify scientific contributions and responsibilities and any conflict of interest issues relevant to the manuscript, all parts of the ‘Authors' Contribution’ form must be completed by the corresponding author and the‘ICMJE Uniform Disclosure Form for Potential Conflicts of Interest’must be completed online by all authors. Both forms should be included in the manuscript at the time of original submission. All manuscripts will be vetted by the Editor-in-Chief’s Office for possible plagiarism and duplication. Sanctions will be imposed in accordance with the guidelines of the Committee on Publication Ethics (COPE) when non-ethical issues arise. The authors must obtain the permission of the copyright holder for non-original tables, figures, graphs, images and other visuals. The authors should acknowledge and provide detailed information on any contributions in kind and financial support given by any foundations, institutions and firms before references section. An ethics committee report prepared in conformity with the WMA Declaration of Helsinki - Ethical Principles for Medical Research Involving Human Subjects and the Guide for the Care and Use of Laboratory Animals is required to be submitted with experimental and clinical studies, drug trial studies and some case reports. Authors may be asked by the Editor-in-Chief’s Office for an ethics committee report or similar in other circumstances also. Manuscripts reporting the results of experimental studies must explain in detail all procedures which volunteer subjects and patients have undergone and a statement indicating that consent for the study has been obtained from all subjects should be included in the text. Animal studies should clearly specify how pain or discomfort has been relieved. We will be unable to accept research papers without this statement. Manuscripts should be concise and clear. Manuscript files should be prepared with Microsoft Office Word. Use Times New Roman style, 12 punto, justified and double line spacing throughout (including reference list and figure legends). Leave 2 cm space from each edge of pages. Number all pages in the bottom-righthand corner, but do not use numbers for headings and /or subheadings. Define all abbreviations when first mentioned. Do not mention names and/or institutions of the authors within the main text except title page. For further advice on manuscript preparation see the Guidelines published by the European Association of Science Editors. The online submission system will direct authors during all stages of submission and provide necessary support for accelerating the submission process. A list of the files that should be supplied through the online submission system is provided below. Information about the authors and their institutions should not be included in the main text, tables, figures and video documents. Since submitted manuscripts are evaluated by the reviewers through the online system, personal identification is excluded in the interests of unbiased interpretation. Thus, only information about the manuscript as specified below should be included on the title page. For each type of manuscript, it is mandatory to upload a title page as a separate Microsoft Word document through the online submission system. The title page should include the names of the authors with their latest academic degrees, and the name of the department and institution, city and country where the study was conducted. If the study was conducted in several institutions, the affiliation of each author must be specified with symbols. The correspondence address should contain the full name of the corresponding author, postal and e-mail addresses, phone and fax numbers. If the content of the manuscript has been presented before, the name, date and place of the meeting must be noted. Disclosure of conflict of interest, institutional and financial support, author contributions and acknowledgments should be included on the title page. The manuscripts submitted to our journal are classified and evaluated according to the manuscript types stated below. During preliminary evaluation, the editors assess whether a manuscript’s format and sub-headings are prepared in accordance with the journal’s guidelines. Therefore, it is important that authors check the accuracy of the main text in terms of the following. Manuscripts should also be prepared according to STROBE criteria for observational studies, STARD criteria for accuracy studies of diagnosis, CONSORT criteria for randomized controlled trials. Structured Abstract: It should be structured with Objective, Methods, Results and Conclusion subheadings and should be limited to 250 words. Keywords: This section should contain a minimum of three and a maximum of six items in accordance with Medical Subject Headings (MeSH) terms prepared by the National Library of Medicine (NLM) and should be placed just below the abstract. Main Text: It should consist of Introduction, Methods, Results, Discussion, Limitations of the Study and Conclusion sections and should not exceed 5000 words excluding the references. References: The reference list should be provided following the Main Text. Limiting the number of references to 50 is usually sufficient. Tables, Figures and Images: They should be placed below the reference list and numbered according to their consecutive order in the main text. Statistical analysis should be conducted in accordance with the guidelines on reporting statistical data in medical journals. The software used for statistical analysis must be described. Data must be expressed as mean ± standard deviation when parametric tests are used to compare continuous variables. For non-parametric tests, data must be expressed as median (minimum-maximum) or percentiles (25th and 75th percentiles). In advanced and complex statistical analyses, relative risk (RR), odds ratio (OR) and hazard ratio (HR) must be supported by confidence intervals and p values. The outcomes of statistical analyses and interpretation of the results must be in evidence-based scientific language. Authors are selected and invited by the Editor-in-Chief. This type of manuscript aims at providing a brief commentary on an article published in the journal by a researcher who is an authority in the relevant field or by the reviewer of the article. Main Text: It should not include subheadings and should be limited to 500 words. References: The reference list should follow the main text and the number of references should be limited by 15. Abstract, Keywords, Tables, Figures, Images and other visuals are not included in editorial comments. Reviews prepared by authors with extensive knowledge on a particular field, which has been reflected in international literature by a high number of publications and citations, are evaluated. The authors may be invited by the Editor-in-Chief. A review should be prepared in the format describing, discussing and evaluating the current level of knowledge or topic that is to be used in the clinical practice and it should guide further studies. Abstract: It should not include subheadings and should be limited to 250 words. Keywords: This section should contain a minimum of three and a maximum of six items in accordance with Medical Subject Headings (MeSH) terms prepared by the National Library of Medicine (NLM) and should be provided just below the abstract. Main Text: It should include Introduction, other subheadings and Conclusion sections and should be limited to 5000 words excluding the references. References: The reference list should be placed just below the main text and the number of references should not exceed 50. Tables, Figures and Images: They should be provided after the reference list according to their order of appearance in the text. The originality of the visuals included in the reviews should be assured by submission of an accompanying letter by the authors. Appropriate citation should be done for the visuals adapted from previously published sources, in accordance with the original versions of the printed or electronic copies. The written permission obtained from the copyright holder (publisher, journal or authors) should be sent to the Editor-in-Chief’s Office. Knowledge confirmed by the results of recent research studies, involved in education at academic level and used in clinical practices should be presented in detail in this type of manuscript. Abstract: It should not include subheadings and it should be limited to 250 words. Main Text: It should include Introduction, other subheadings and Conclusion sections and should not exceed 5000 words excluding the references. References: The reference list should be provided just below the main text and the number of references should be limited to 50. Tables, Figures and Images: They should be provided after the reference list according to their order of appearance in the main text. Manuscripts which announce a new scientific invention, are clinically significant, and are in the form of a preliminary report are accepted for publication as scientific letters. Main Text: It should include Introduction, other subheadings and Conclusion sections and should not exceed 900 words excluding the references. References: The reference list should be provided just below the main text and the number of references should be limited to 10. Tables, Figures and Images: They should be provided below the reference list according to their order of appearance in the text and should be limited to two. Abstract and Keywords should not be included. Since a limited number of case reports is published, only reports which are related to rare cases and conditions that constitute challenges in diagnosis and treatment, offer new methods or suggest knowledge not included in books, and are interesting and educational are accepted for publication. Main Text: It should include Introduction, Case Report, Discussion and Conclusion sections and should not exceed 700 words excluding the references. References: The reference list should follow the main text and the number of references should be limited to 10. Tables, Figures and Images: They should be provided after the reference list according to their order of appearance in the text and should be limited to two. Abstract and Keywords are not included. Impressive and rare images that reflect significant findings based on clinical science, shed light on fundamental mechanisms of diseases, emphasize abnormalities or introduce new treatment methods are accepted for publication. Main Text: It should not include subheadings and it should be limited to 250 words. Tables, Figures and Images: They should be provided after the main text according to their order of appearance in the text and should be limited to two. Abstract, Keywords and References are not included. Letters to the Editor aim to discuss the importance of a manuscript previously published in the journal. This type of manuscripts should also include a comment on the published manuscript. 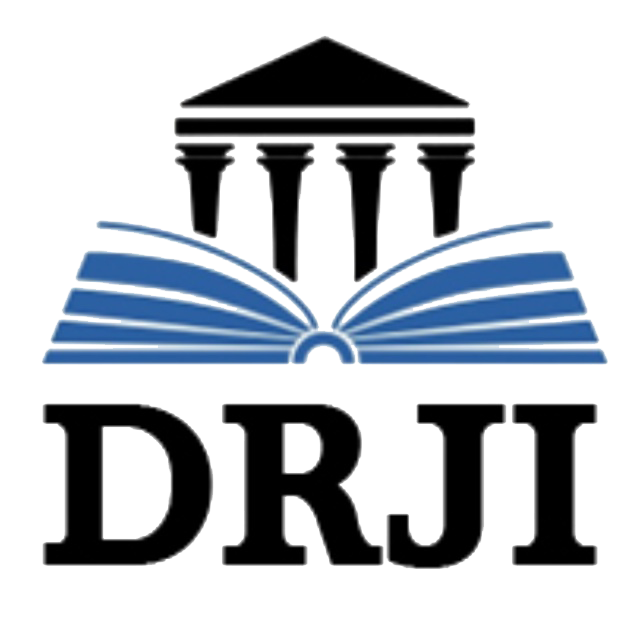 Moreover, articles on topics of interest to readers within the scope of the journal, especially on educational issues, can be published in the format of a Letter to the Editor. Main Text: It should not include subheadings and it should be limited to 500 words. References: The reference list should follow the main text and the number of references should be limited to five. The volume, year, issue, page numbers, authors’ names and title of the manuscript should be clearly stated, included in the list of references and cited within the text. Abstract, Keywords, Tables, Figures and Images, and other visuals are not included. 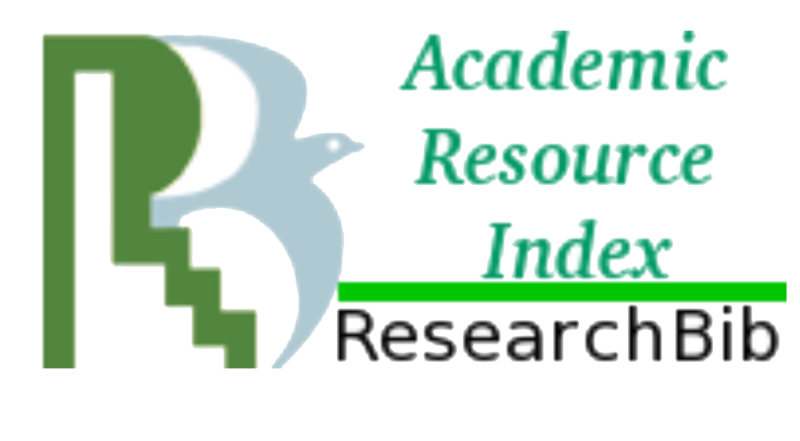 These articles include current information on research and publication ethics and also cases of ethical violation. Main Text: It should not exceed 900 words. Tables, Figures and Images: They should be placed after the reference list according to their order of appearance in the text and limited to two. Images obtained directly or on operation, visuals revealed through EKG and/or imaging methods, and macroscopic-microscopic anatomical, pathological findings of attention-grabbing and rare cases can be published. Unlike original images, the diagnosis and outcome of the case and image are hidden at the beginning in diagnostic puzzles. Four multiple-choice questions are prepared. In the following pages of the journal, the correct answer in terms of precise diagnosis and outcome is given with an explanation and didactic images and then discussed. The Editor-in-Chief will convert suitable images into the format of a diagnostic puzzle with the authors' permission. Main Text: It should not exceed 500 words. References: The reference list should follow the main text and be limited to a maximum of three. Tables, Figures and Images: They should be placed after the reference list according to their order of appearance in the text and should be limited to five. This type of manuscript covers important events and obituaries. Main Text: It should not exceed 1000 words. References should be numbered in the order in which they are cited within the main text. Reference numbers should be written between parantheses at where they are cited in the main text. Only manuscripts published or accepted for publication should be cited. Recent publications related to the topic of the manuscript should be reviewed. References that are inaccessible and not indexed in any database should not be cited. The titles of journals should be abbreviated in accordance with (Patrias K. Citing medicine: the NLM style guide for authors, editors, and publishers [Internet]. 2nd ed. Wendling DL, technical editor. Bethesda (MD): National Library of Medicine (US); 2007 - [updated 2011 Sep 15; cited Year Month Day]. For references with six and fewer authors, all authors should be listed. For references with more than six authors, the first six authors should be listed, followed by ‘et al’. The style and punctuation of the references should be formatted as in the following examples. Journal: Muller C, Buttner HJ, Peterson J, Roskomun H. A randomized comparison of clopidogrel and aspirin versus ticlopidine and aspirin after placement of coronary artery stents. Circulation 2000; 101: 590-3. Book Chapter: Sherry S. Detection of thrombi. In: Strauss HE, Pitt B, James AE, editors. Cardiovascular Medicine. St Louis: Mosby; 1974. p.273-85. Book with Single Author: Cohn PF. Silent myocardial ischemia and infarction. 3rd ed. New York: Marcel Dekker; 1993. Editor(s) as author: Norman IJ, Redfern SJ, editors. Mental health care for elderly people. New York: Churchill Livingstone; 1996. Conference Paper: Bengisson S. Sothemin BG. Enforcement of data protection, privacy and security in medical informatics. In: Lun KC, Degoulet P, Piemme TE, Rienhoff O, editors. MEDINFO 92.Proceedings of the 7th World Congress on Medical Informatics; 1992 Sept 6-10; Geneva, Switzerland. Amsterdam: North-Holland; 1992.p.1561-5. Scientific or Technical Report: Smith P. Golladay K. Payment for durable medical equipment billed during skilled nursing facility stays. Final report. Dallas (TX) Dept. of Health and Human Services (US). Office of Evaluation and Inspections: 1994 Oct. Report No: HHSIGOE 169200860. Thesis: Kaplan SI. Post-hospital home health care: elderly access and utilization (dissertation). St Louis (MO): Washington Univ. 1995. Manuscripts accepted for publication but not published yet: Leshner AI. Molecular mechanisms of cocaine addiction. N Engl J Med In press 1997. Manuscript published in electronic format: Morse SS. Factors in the emergence of infectious diseases. Emerg Infect Dis (serial online) l995 Jan-Mar (cited 1996 June 5): 1(1): (24 screens). Available from: URL: http:/ www.cdc.gov/ncidodlElD/cid.htm. For double-blinded peer-review process, the names of the corresponding author and other authors, their affiliations and any information on the study centres should not be included in any part of the submitted manuscripts and images, except the Title Page. This information should be added to the relevant section of the online submission system and included in the Title Page. Pharmaceutical products should be written with their generic names and brand and company names, city and country should be specified for medical equipment and devices. Tables, Graphs, Figures and other visuals should be numbered in the order of their citation within the text and names of patients, doctors and institutions should not be disclosed. Tables should be prepared in a Microsoft Office Word document using the command ‘Insert Table’ and inserted at the end of the references in the main text. Tables should not be submitted in JPEG, TIFF or other visual formats. For microscopic images, the magnification ratio and staining technique used should be specified in addition to figure legends. All visuals should have a high resolution (minimum 300 dpi). The thickness of the lines in graphs should be sufficient to minimize loss of quality if size reduction is needed during the printing process. The width of the graphs should be 9 cm or 18 cm. Drawings should be performed by professionals. No grey colours should be used. Punctuation symbols should be used as *,†,‡,§,II,¶,**,††,‡‡ in an order. Roman numbers should be avoided in tables and figures within the text and their titles. Decimal numbers used in text, tables and figures should be separated by dots. Tables should be easily understandable and should not repeat the data in the main text. In addition to the pictures included in case reports and original images, video and movie images are published on the journal’s website. These images should be prepared in MPEG format with a maximum size of 2 MB. They should be submitted to the journal with the manuscript documents. The names of patients, doctors, institutions and places should be omitted from all documents. NOTE: All visuals in the manuscripts are printed in black and white without charge. However, 80 Euro / per article must be paid if colour is required. The Editor-in-Chief’s Office of The Anatolian Journal of Family Medicine should be contacted for payment. The Anatolian Journal of Family Medicine is an open access journal which means that all content is freely available without charge to the user or his/her institution. Users are allowed to read, download, copy, distribute, print, search, or link to the full texts of the articles, or use them for any other lawful purpose, without asking prior permission from the publisher or the author. This is in accordance with the BOAI definition of open access.